These festivals are a great place to meet the producers of artisan and local food products in one place – and also (as a foodie) to mix as an equal with food producers and food businesses. 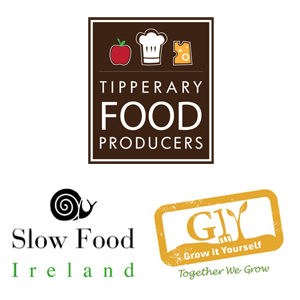 Part of the festival (check out their site for all the details) is Irelands second foodcamp – a talk of talks and workshops given by food producers, food bloggers, chefs and whoever else wants to share their ideas, passions and lessons learned. Its free and contains a 1.5 hour community picnic lunch. Check it out here foodcamp2 link. I am really looking forward to both! What a great site – how come I’ve not found you before? I’d love to visit the Waterford one. Waterford was the first place I ever visited in Ireland (I stayed at The Tower) and I still have a great fondness for it.